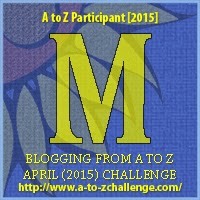 M Is For… Mitch and Lupe! I know, it’s an “m” and it would be a lot more fun to look at mancandy. Sadly, the two guys we cast as Mitch and Lupe are models, and we don’t have permission to use their photos. Someday, when we’re big and famous, we’ll hire our own models and have lovely photographs. In the meantime, you’ll just have to do what you do best, Dear Reader: use your imagination. After all, exercise is good for us, right? All kidding aside, Cat’s Cradle will be out this summer and since it’s about Mitch and Lupe, I figured I’d take today to share a little bit about character development. There’s a lot of stuff out there about the subject of character, and a lot of good stuff from role playing games, not just writers. But in some ways, all that wealth of information is too much and can overload a person just trying to figure out how to write a character – one character, one simple person to wander onto the page of story and be the vehicle for it. I like to work from image, so I’ll go onto Google and either look for a specific actor that caught my eye (and it’s embarrassing how many of them can do that, isn’t it? Good thing there’s no such thing as mental police, or they’d find all sorts of stuff in there) or ask Google for a specific “type” – such as, male black hair. I refine from there, finding images of people that interest me and drilling down until I find something that speaks to me. What’s your favorite way of creating a character, if you’re a writer; if not, what first catches your attention about a character? Previous PostPrevious L Is For… Lamiae! Next PostNext N Is For… Nicknames!